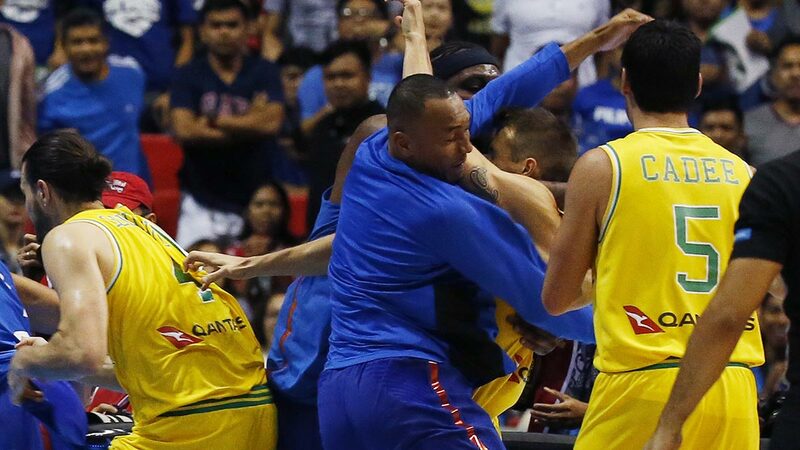 CALVIN Abueva admitted that he tripped Daniel Kickert during warm-ups for their Fiba World Cup 2019 Asian qualifier, but reiterated that it was the Australian who started the ruckus that led to so much bad blood even before tip-off. "Nakita ba nila yung nangyari?" the Alaska forward asked during a thanksgiving dinner held in honor of Gilas Pilipinas on Tuesday night. " Hindi ko naman gagawin yun kung hindi sila yung nauna eh. Sila talaga ang nagsimula." Aussie media have released a video on Tuesday showing Abueva tripping Kickert during warm-ups to refute a claim by the Philippine camp that it was the 6-foot-8 Boomers bruiser who started the ruckus that descended into a full-scale brawl. However, Abueva corroborated statements of Gilas coach Chot Reyes and other players that Kickert was already 'bullying' the home team even before he tripped the latter. That's unacceptable, the 'Beast' said. “Yung time na nagwa-warm up kami, then bigla nila kaming binully lahat. Parang ang hirap naman sa amin na tiga-rito kami tapos gaganituhin kami. Hindi fair sa amin yun,” said Abueva. He shared that the Philippine team tried its best to exhibit self-restraint, but simply reached boiling point. Abueva was one of the bench players who stormed to the court in what is regarded as one of the ugliest basketball fights in recent history. He explained: “Naawa lang talaga ako kay (Roger) Pogoy talaga kasi tinamaan siya ng ganoon. First time ko ring nakita si kuya Jayson (Castro) na sumugod nang ganoon. Syempre kami sa bench, handa naman kami. Teammate namin yun eh. The Angeles, Pampanga native, though, admitted the events that transpired on Monday night at the Philippine Arena in Bulacan were unfortunate.